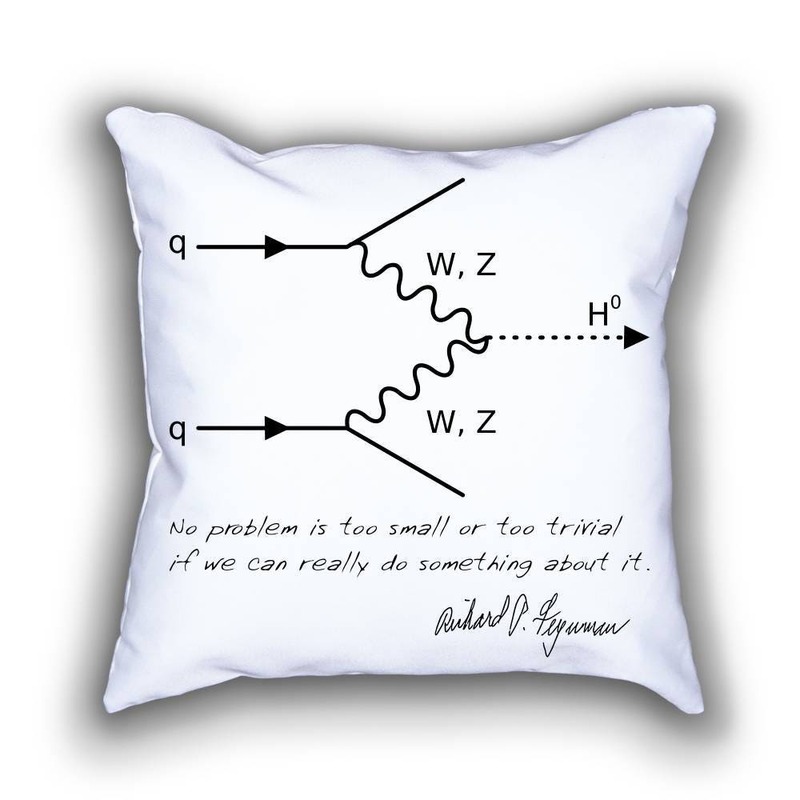 This Feynman diagram illustrates the formation of the Higgs boson (two quarks q emit W or Z bosons, which combine into a Higgs boson). Frankly, if you don't know Feynman, this mug is not for you, sorry. Instead, please find and read the remarkable book "The Character of Physical Law". 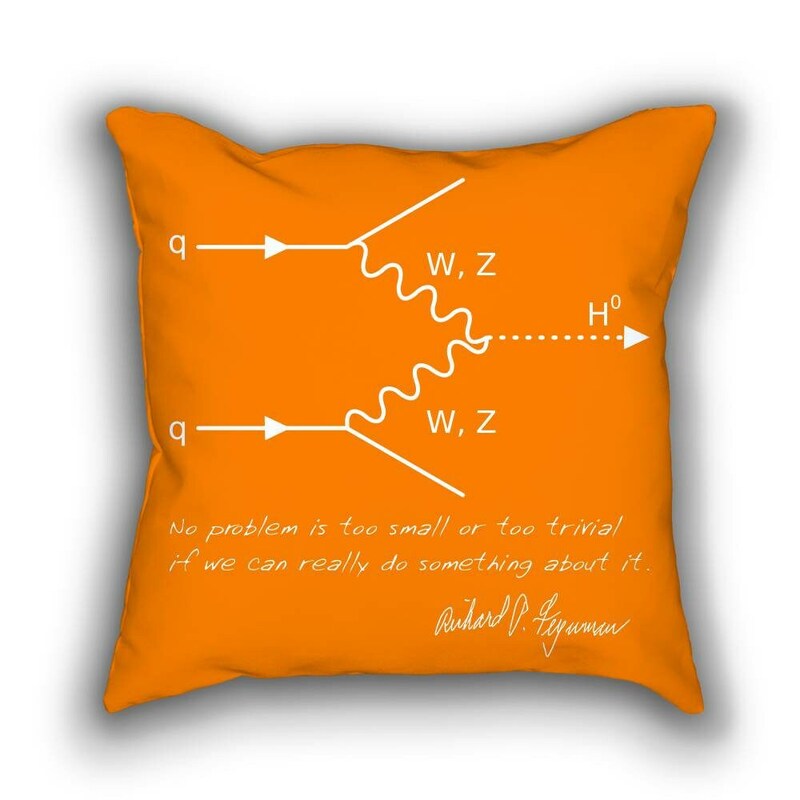 Binary Axiom double sided print pillows feature designs inspired by famous scientists and grand scientific achievements, and are great conversation pieces for your home and office. Made in the USA from polyester fleece, our pillows are individually cut and sewn by hand. Each pillow features a double-sided print and has a concealed zipper for easy care. Soft, durable and suitable for fine print. Sold with or without a resilient polyester filling that retains shape. Machine washable (the insert is handwash only). 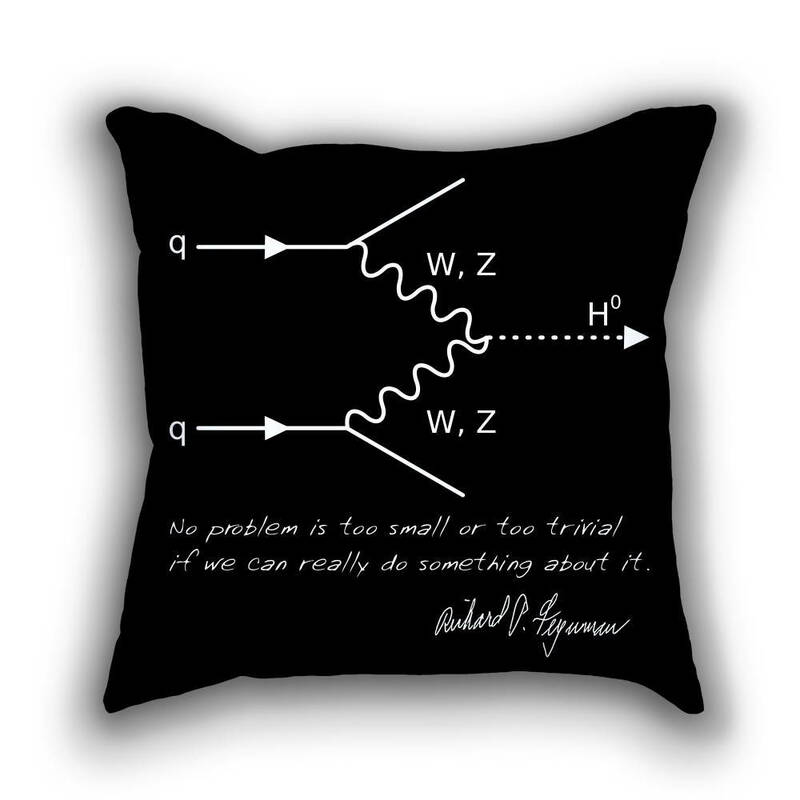 Relax and claim your space with these science pillows and personalize your sofa, couch or bed. For the science! Contact us if you would like to customize this product. It is always a great idea to add a name & a date, or change the design's color. Pillow's base color will always be white - this is your canvas. Be creative and we will craft your unique pillow for you!